The sweetest, sleepiest *almost* three week old won me over with his adorable little purrs, squishiness, and handsome features. I am still in awe with how amazing he was for his session given his age and the hour plus drive they had to make for the session! There were a few little bumps he had to overcome when he first became Earthside, but he is thriving and a perfect as can be! 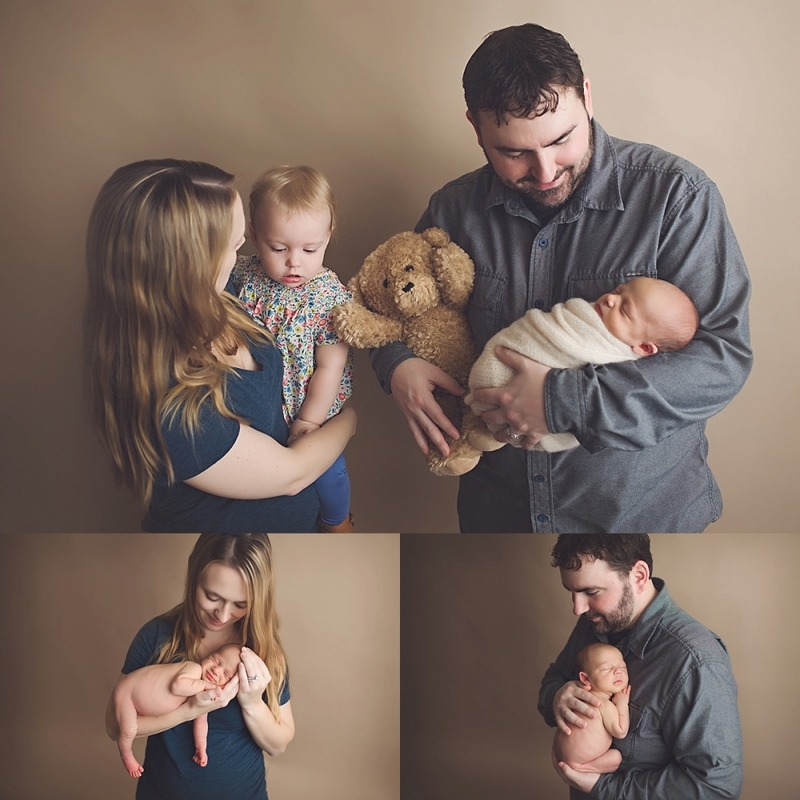 This sweet family deserves nothing more than the best <3 That adorable teddy bear was incorporated into their session because it holds an extremely special place in their hearts… it is symbolic of their first baby, an angel <3 Life handed them some difficult cards. 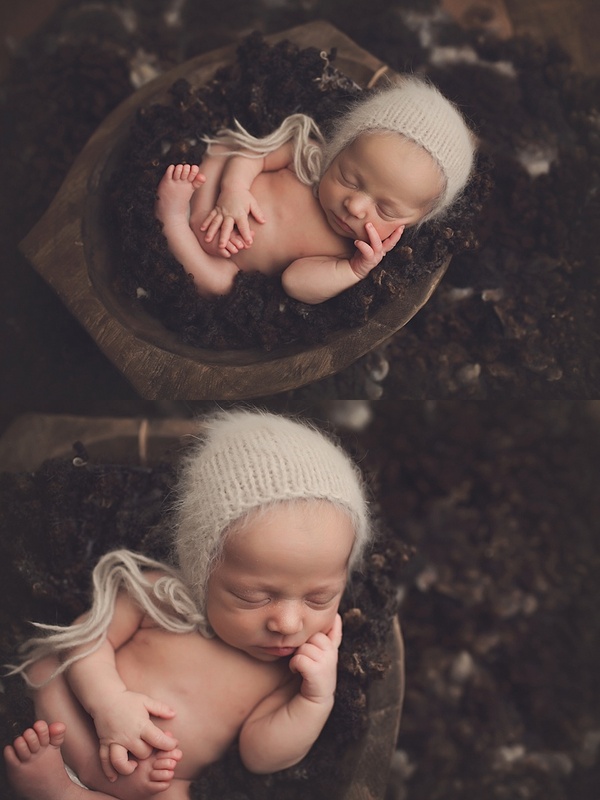 My heart ached as we touched lightly on the subject during their session. Declan is blessed with two older sisters, who will love him and look over him, there is no doubt about that! 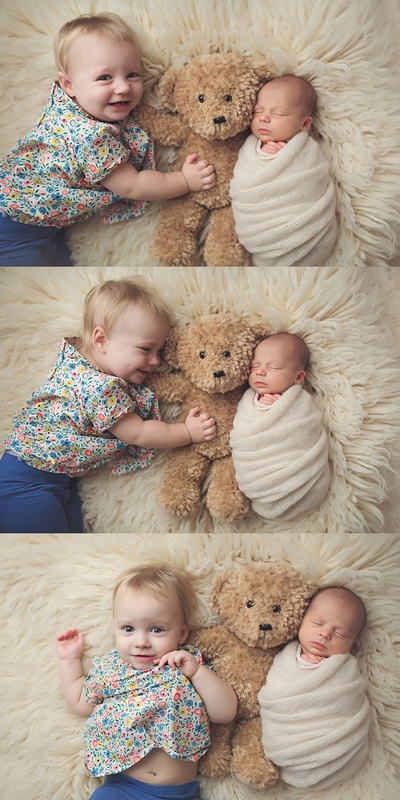 I am so incredibly thankful and blessed that my clients trust me to capture their sweetest, most prized treasure during these fleeting moments.